Why would I need self storage in Mill Valley, CA? There are a variety of reasons why you might need self-storage in Mill Valley, CA. How much is a storage unit in Mill Valley, CA? The cheapest storage unit in Mill Valley, CA is $119.00 per month. What size storage units do you have available in Mill Valley, CA? In Mill Valley, CA we have sizes that range from 4'x5' to 10'x15' to suit your storage needs. How much is it for a 4'x5' storage unit in Mill Valley, CA? The cheapest 4'x5' storage unit in Mill Valley, CA is $119.00 per month. Mill Valley is a small but steadily growing city in California's Marin County. It's just a short drive from San Francisco, easy accessible via the Golden Gate Bridge. 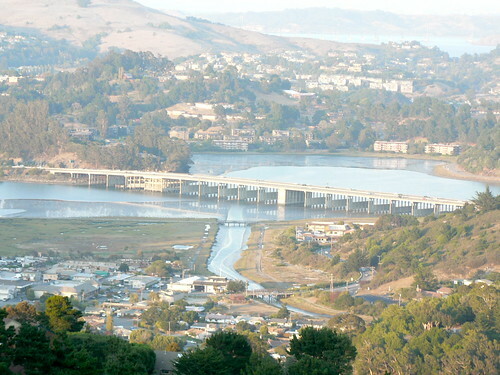 The city occupies the northwestern shores of Richardson Bay, stretching across the eastern slopes of Mount Tamalpais. It's earned a spot on many "Best Places to Live" lists and is a popular home for people who commute into San Francisco. The first land grant on the Marin Peninsula was assigned to John Thomas Reed in 1834. This land encompassed what is now Mill Valley, California. The name of the town came from the lumber mill that was established in the area, which produced the lumber that was used by settlers and the military post built across the bay. During the first several decades of the city's history, the land was used as a ranch for cattle and for its lumber. The city continued to grow at a steady pace, and the expansion of the railroads in 1889 brought many new residents and businesses to Mill Valley. By the 1920s, Mill Valley saw more growth, adding paved streets and mail delivery to its list of local amenities. Despite this, the town was still largely rural, without a single traffic light to be found. Things began to change in the 1960s, when the local population grew dramatically, attracting many self-made millionaires from San Francisco. Throughout the second half of the 20th century, Mill Valley saw the arrival of many new businesses and residents, as well as significant rejuvenation efforts throughout the city. Mill Valley is only 12 miles from San Francisco, allowing residents easy access to a large city. Whether you're looking for entertainment options, dining or business opportunities, there are several places to choose from both within Mill Valley and other nearby cities. The nearby Muir Woods provide the opportunity to experience the amazing redwood forest, recognized worldwide for its majestic beauty. Mount Tamalpais State Park is another place to enjoy the great outdoors, offering expansive wildflower fields, towering redwoods, hiking trails and a scenic view of the Farallon Islands. Several other parks and preserves in the area offer a variety of hiking trails and popular routes for mountain bikers. If you're a golf lover, you'll want to visit Mill Valley's public golf course. It's located near the downtown area and open to golfers seven days a week. Mill Valley is known for its rich arts and culture scene, and is home to a large number of galleries, theaters and annual art festivals. Elementary and middle schools in Mill Valley are part of the Mill Valley School District. The local public high schools are served by the Tamalpais Union High School District. There are also several highly-rated private schools in the city. Utilities: Pacific Gas and Electric is Mill Valley's central energy provider, while the Marin Municipal Water District manages public water services. Garbage and Recycling: The city facilitates weekly collection of trash, recyclables and compost. Transportation: Marin Transit provides a number of public transportation routes in and around Mill Valley, making it easy to commute to the nearby city of San Francisco. The median home value in Mill Valley is well over the million-dollar mark, due largely to its close proximity to San Francisco. You can also expect very high rent prices in the Mill Valley area. Our lowest priced units in Mill Valley, CA average $119.00 per month. 42 people have reserved units in Mill Valley, CA in the past 30 days. There is 1 location within Mill Valley, CA's city limits.